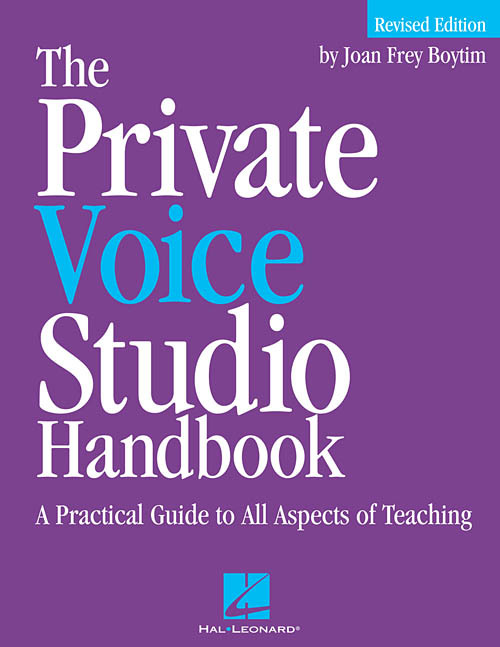 No voice teacher can afford to be without the updated and revised editon of The Private Voice Studio Handbook, a comprehensive and practical guide for beginning or improving the work of any voice teacher. The original edition was released in 2003. The revised edition was released in 2014. The topics addressed include: mission and policy statements; studio equipment and organization; auditioning and accepting new students; practice agenda for students; the importance of teaching music reading; repertoire for beginners; planning recitals; vocal techniques; teaching styles; advising young singers; teaching adult students; teaching voice to children; taxes, insurance and retirement; networking; ethics in the voice studio; and more! The revised edition adds many updates and case studies of students. Beyond being a great guide for private voice teachers, Joan Frey Boytim's groundbreaking book is an excellent resource for college and university voice faculty, and would be a valuable text for vocal pedagogy courses. Joan Frey Boytim has spent over 50 years teaching in her private voice studio. She is a nationally recognized and widely published expert in the training of young singers.